'Just pick up and go' in this luxury motorhome. 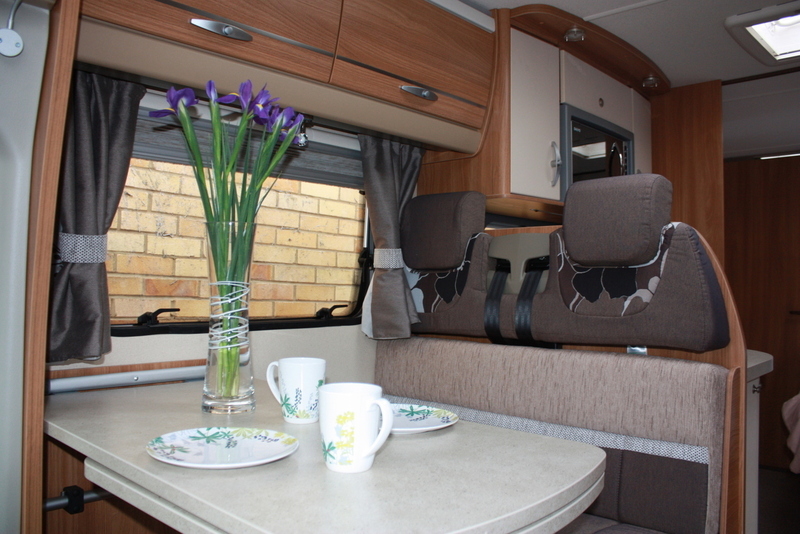 It is fully equipped and we also provide tea, coffee,milk and a welcoming cake to start your holiday. 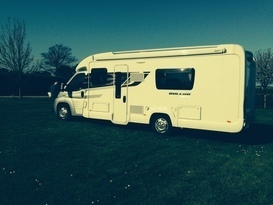 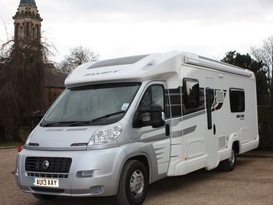 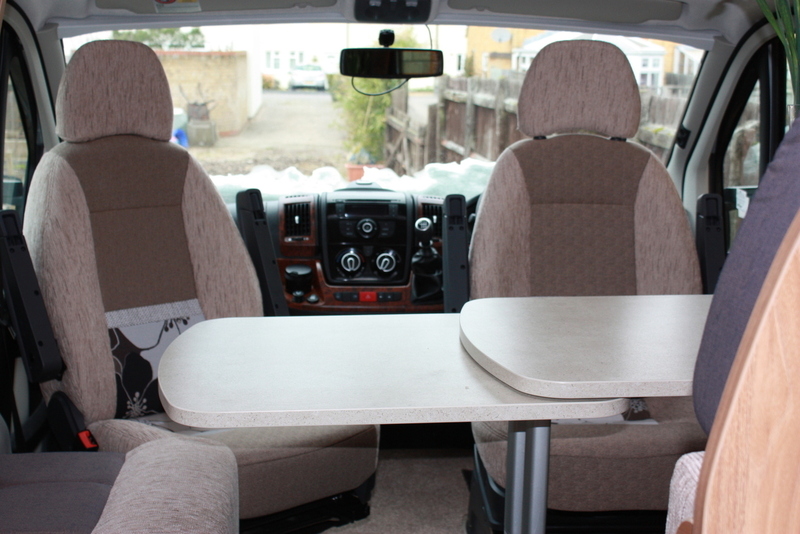 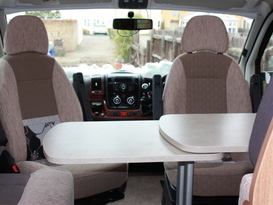 The motorhome has a fixed double bed with a second made up from the dinette area and there is a proper shower room across the rear of the vehicle. 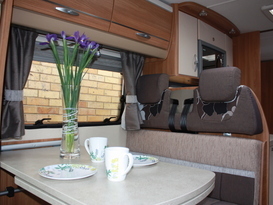 The fixed bed is made up ready for you and towels are provided.